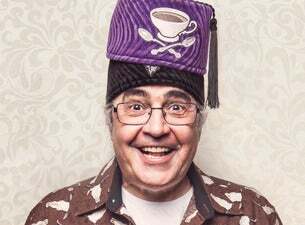 Following the extraordinary success of his Cradle to Grave tour, Danny Baker was being seduced by the applause of the public to repeat the thrills harvested during that "uproarious whirligig of joy" and undertake another such venture. After much reflection he decided that he could not allow rampant narcissism to cloud his judgment. He said "one farewell tour" and meant "one farewell tour" – so there will be no more. But he's pleased to announce that, to mark his momentous decision, he will be embarking on a nationwide, high-principled, peppy series of one-night stands calling at dozens of theatres around the country starting in May 2018. These exhibitions will be startling, high kicking, fresh, eruptive and often under three hours long. On this, once again, you have his word. To help him mark the festivities he will joined on some nights by both Bruce Springsteen and Bob Dylan – two of the nicest dogs he's ever owned.